Liezel van der Westhuizen already a household name after an impressive stint on MNET Idols, Liezel is currently taking the South African entertainment scene by storm. 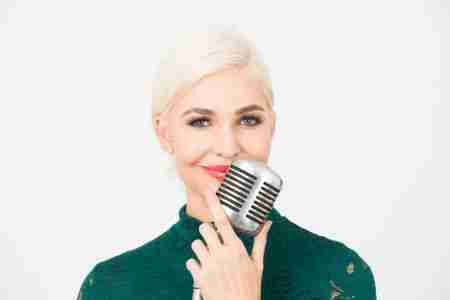 The relaxed smile, smooth and professional working manner and impeccable style has made Liezel van der Westhuizen one of the most sought-after presenters and emcees in the country. Coupled with a drive for success and an incredible work ethic in everything she does, it is no wonder the sky is the limit for this talent. You know your own voice. You worked hard to get it and you know how to use it… Until you meet The Office Bully at the dreaded Big Monday Meeting… You’ve prepared your notes and your ideas are good, very good, but still your stomach is knotted up. The Office Bully loves to spread rumours and to humiliate you in front of your colleagues. Once the Office Bully sits down, you shrivel into a nodding-fake smile-coffee slurping mess, carefully checking your watch. The bullying does not end at the meeting. Back in the office the bully will stalk you, call you names and try to derail your work. It’s finally home time. You sob uncontrollably in your car, desperate for a safe place. In this talk, renowned speaker Liezel van der Westhuizen, will help you find your voice again, show you how to beat the bully and get the recognition and raise that you deserve. Employers will benefit too as bullying causes high staff turnover and low morale leading to lower quality work. The bully is not restricted to the schoolyard but also enjoys roaming the office corridors. Busting the myth that all bullies grow up. Where do they come from? The Office Bully is a genius: it’s all smoke and mirrors… from a great fake relationship with the boss, knowing the minimal amount to be done to get away with it and thriving on your pain. But inside the bully lives a very insecure person taking it out on you. How to spot the bully and remove yourself as target. Finding your own confidence and getting your voice back. Imagine, a 3.8km swim, a 180km cycle and running 42.2km in one day! The Ironman, the ultimate one day endurance race. Liezel van der Westhuizen did it – in style, within only 12 weeks . Her next goal was the Unlimited Dusi, the World’s toughest canoe marathon. Set your goals, and work at it, each and every day. Don’t stop until it is done. Liezel van der Westhuizen will help you find your inner strength and give practical and personal guidelines on how you can achieve your goals, be it mental or physical. She is also an ambassador for charities, an MC for glamorous functions and a much sought after model on the catwalk. Liezel van der Westhuizen – MC Motivational is also listed as one Mail & Guardian’s Top 200 Young South Africans. Women can change the world! It’s 2016 and we are still sadly lacking in fully empowering women. Gender bias and discrimination against women is rife. Globally and locally women still represents the smaller percentage in leadership positions. Perhaps key is to understand why it is important to empower women and that it’s not simply empty rhetoric. South Africa’s own Iron lady Liezel van der Westhuizen’s talk uncovers the importance of female empowerment in an informative and personal way. Embracing the challenges and joys of diversity, her clients have ranged from high-flying financial institutions to tourism boards and sporting brands. With her infectious energy, sharp wit and panache, it’s no surprise that her work receives consistent rave reviews. – Bianca Church from Century City Property Owners’ Association. – Sean & the Rainbow Team. – Fatima Borez, Cape Town Tourism.